I normally hate visiting places like museums and such, simply because I think they are generally boring places. 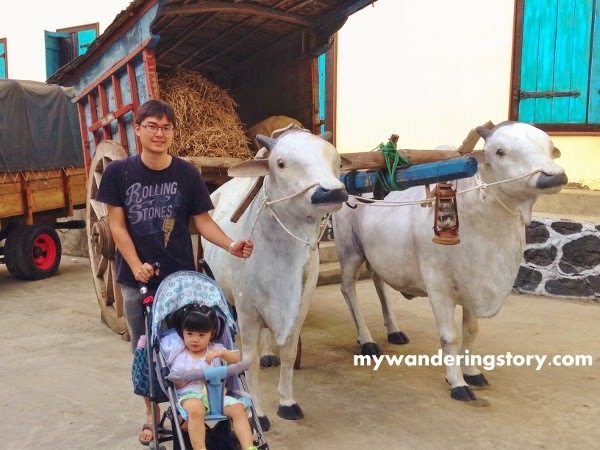 However, when I saw my cousin posted his photos taken at Museum Angkut (Transportation Museum) and Movie Star Studio not far from my home town; I purposely planned to check out this particular museum the next time I visited my home town. From the photos that my cousin posted, Museum Angkut doesn't really look like the typical museums I'd seen and it does not seem to be dull at all. 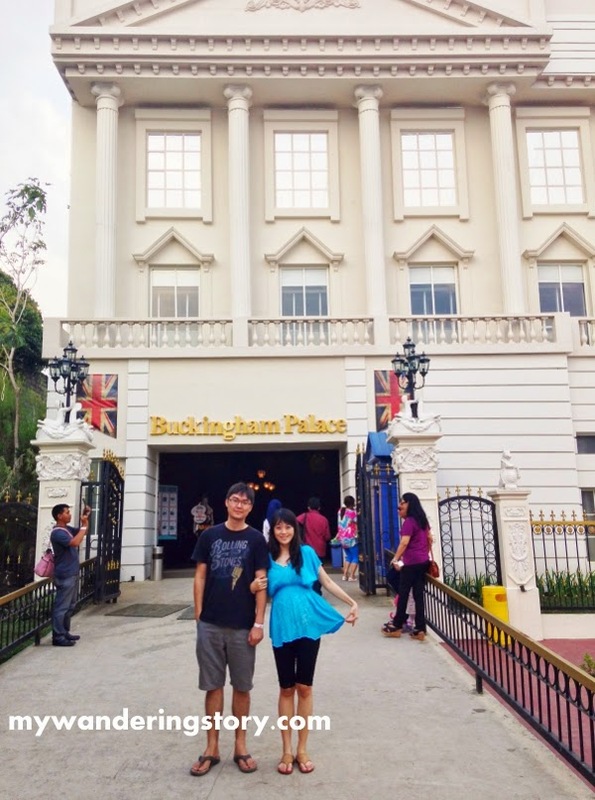 In fact, it seems to have lots of cool spots for taking pictures, almost like Universal Studio Singapore. Fast forward, when I went back to my home town for a week last month, I finally went to this newly opened tourist attraction with my little family, Mom and sister. 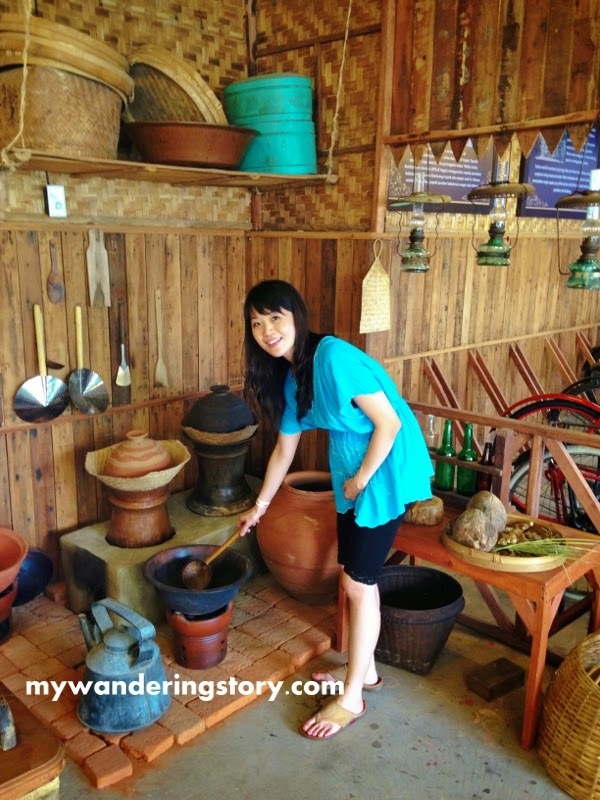 What is this Museum Angkut all about? 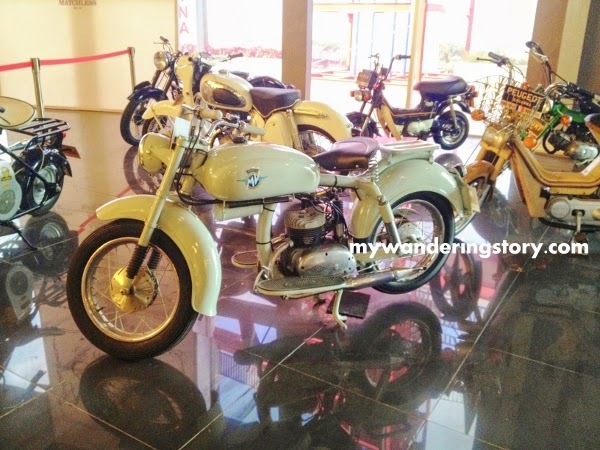 Museum Angkut plus Movie Star Studio is actually a massive gallery of hundreds of vehicles in human history, from chariots, rickshaws, antique bicycles to modern racing cars. It is a unique place where the history and developments of transportation from time to time are shown (some are in their actual forms, not just replicas or pictures). 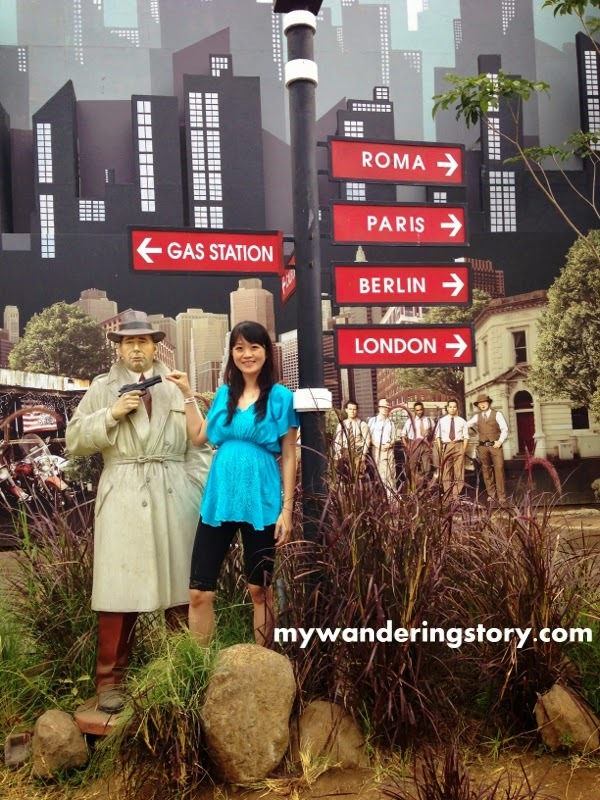 On top of this, this museum also exhibits the miniatures and replicas of Hollywood Movies Stars, old Jakarta and other beautiful places in the world. Some of the old motorbikes in the main gallery. For me, this zone was the-somewhat-boring part in the entire museum because I am never so fascinated with auto-mobiles, bikes, motorbikes and so on (and you must be wondering why the heck I went to a museum of transportation in the first place. Wait for my explanation and read on). I was, however, quite mesmerized with the amount of old and modern transportation modes collections in this gallery and the educational zone upstairs. 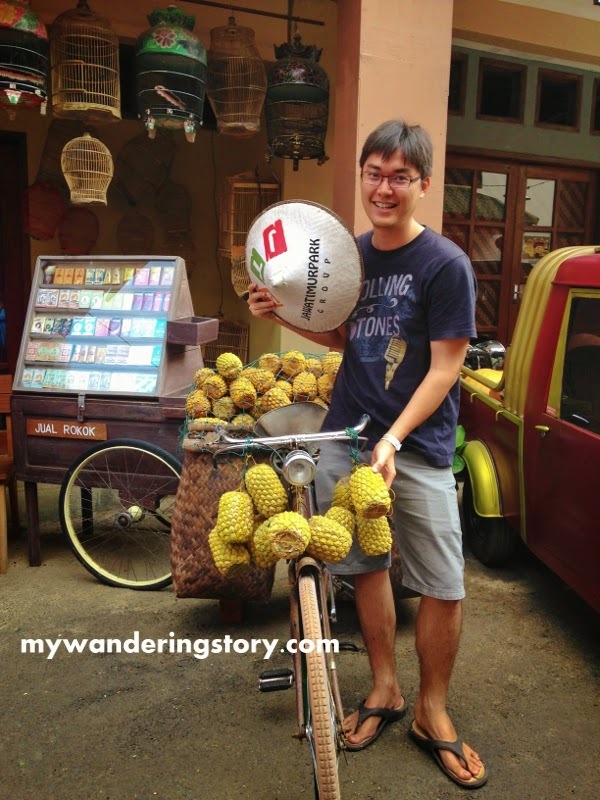 Imagine just for one type of vehicle, say pedicab - this museum actually displays so many different types of pedicabs from many cities and eras in Indonesia. Not to mention the cars, horse chariots, ships, bicycles and more. Anyway, I saw my Mom and sister were busy taking pictures with some of the old cars and stuff in this gallery; while my husband was so engrossed with checking out some the classic cars and motorbikes. He even read the history of some of the vehicles shown in both gallery and educational zone. In the meantime, I just wanted to quickly wrap up these two sections of the museum and move on to the more interesting zones. After we're done with checking out the museum's main gallery and educational zone, we arrived to the first outdoor thematic area of the museum. 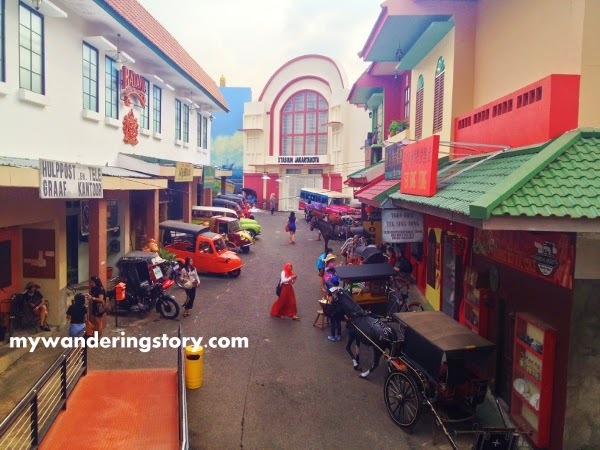 This interesting outdoor zone depicts Jakarta (Batavia) and its old harbour (Sunda Kelapa) during the Dutch colonial era as well as the old Chinatown in Indonesia. I really fancy this zone because the whole area was like trying to tell visitors a story of how life was in Jakarta and Chinatown during the olden days i.e. what and how people did for living, what modes of transportation were common, the name of the buildings, how the buildings looked like back then. Don't the cows look so real here? 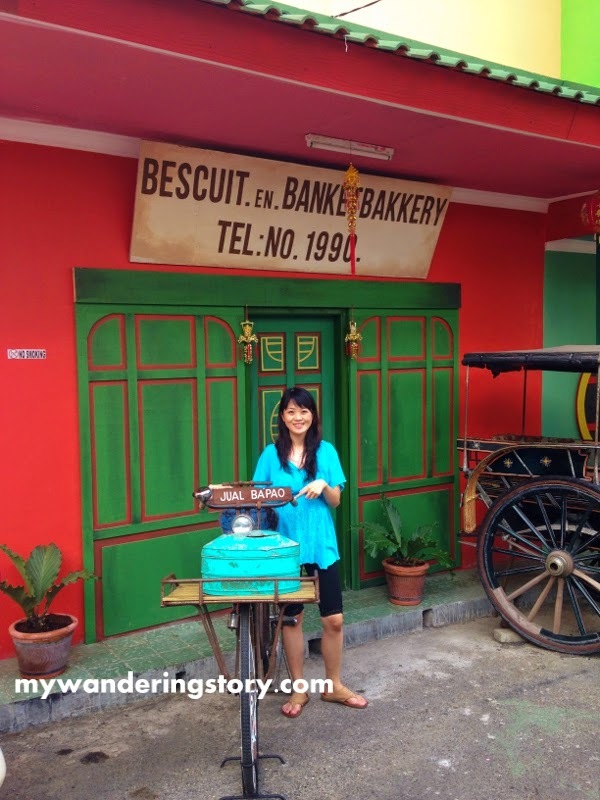 In summary, this zone travels you to back the past and offers you a glimpse of peaceful life in Jakarta's olden days. 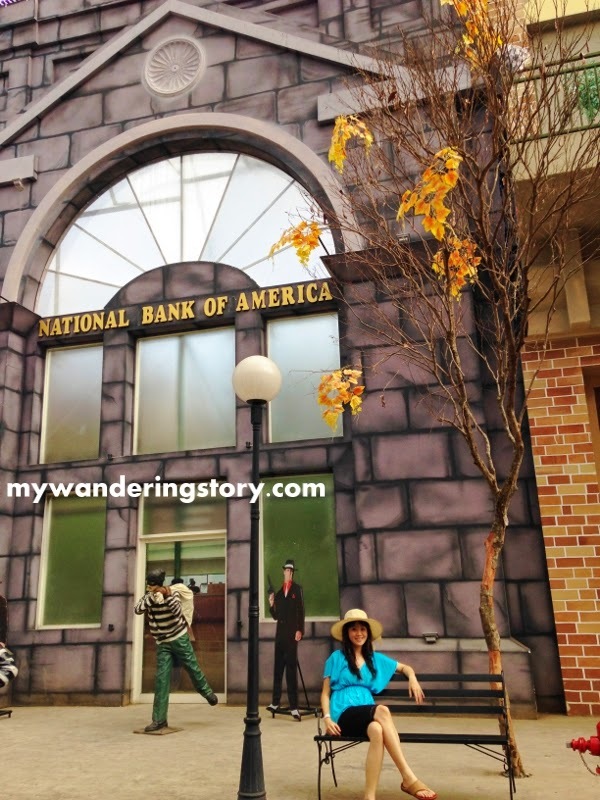 I thoroughly enjoyed the experience of sightseeing and taking pictures with all the backgrounds and those detailed props that looked so real. This is one of the reasons why I came to the museum of transportation, if you ask me. Done with exploring the olden days of Jakarta, we moved on to a zone where we were taken to the era when Al Capone, a famous American gangster, lived. Dunno what gangster this was. American gangsters and bank robbers in the 70s', Broadway and some classic cars commonly used during that era were the main objects in this zone. My favourite spot in this zone. Meeting with Al-Capone over coffee. We saw small cafe and souvenir shop in the same theme but we didn't enter nor buy any food here. My family and I were keener in taking pictures with all the background and props in this zone. The only place that I entered in this zone was the ladies' room (thanks to my pregnant bladder), which was very clean and presented in the Broadway theme as well. In this zone, visitors could briefly visit some of the big European countries, see their eminent landmarks and get to know their famous national cars or motorcycles too. Think of Italy with its Venice and vespas, France with its Eiffel and beautiful street cafes, Germany with its Volkwagens and traditional houses as well as England with the Queen, London Bridge and traditional British phone box for instances. We could see and take photos all of these replicas and miniatures in this area. 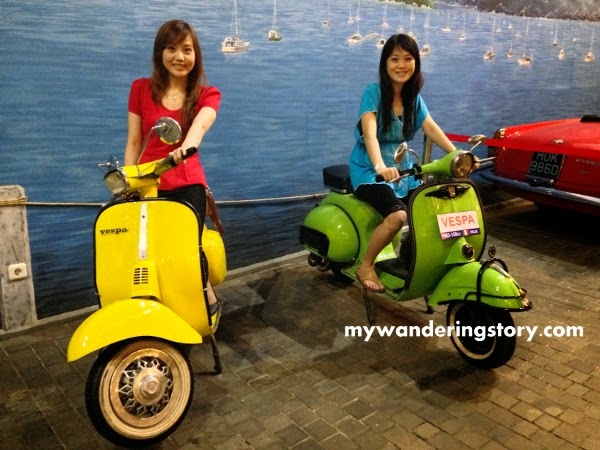 I really love the green vespa! A miniature of Parisian garden in Summer. In addition, visitors could experience the different seasons of the year without having to feel the change of temperatures in this zone's indoor part . 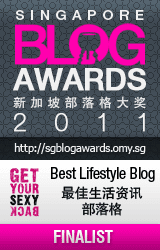 This said, if you can't afford a ticket to Europe just yet, you could seriously consider stopping by this place first. LOL. After Europe, we checked out Hollywood (with its Halls of Fame) and Las Vegas zone. 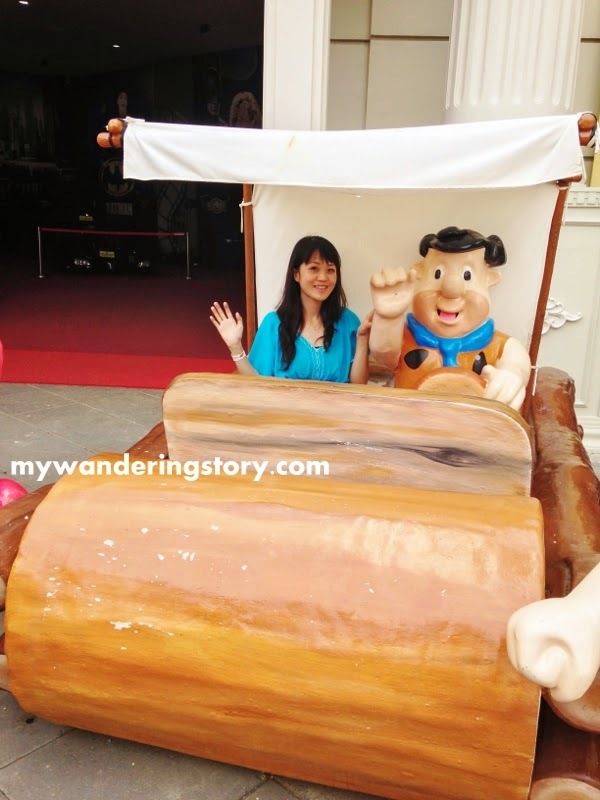 This semi-outdoor area lets visitors see and take pictures with some famous Hollywood movie characters and the rides in the movies as well. To name a few, Batman and Batmobile, the Flintstones and Fred's wooden car, Scooby Doo and his gang's colourful van. 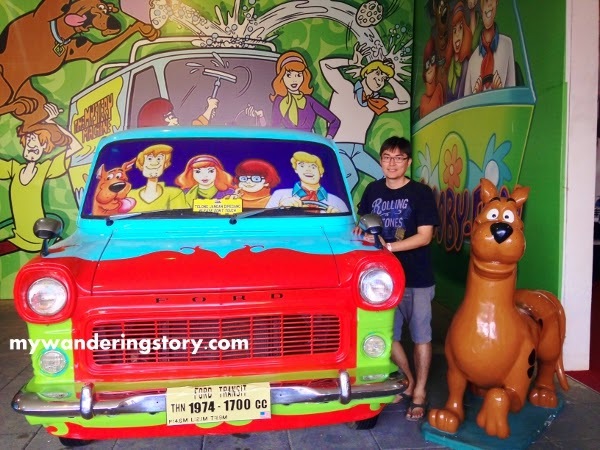 My husband with Scooby Doo. There were also real-life sculptures of Brad Pitt, Angelina Jolie and some other Hollywood stars too but I must honestly say, some of them look rather creepy. An American fast food restaurant for hungry visitors also exists in this zone. I mean after walking around this huge museum, by the time visitors reach this area, I am pretty sure they are fairly tired and possibly hungry as well. The final part of Museum Angkut is the floating market which sells lots of traditional food and souvenirs in the form of some Indonesia's ethic group traditional houses. The view of Pasar Apung from above. 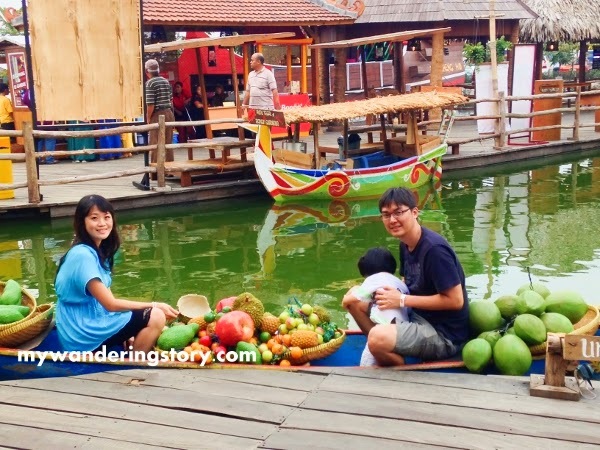 A boat filled with fake fruits for taking photo. 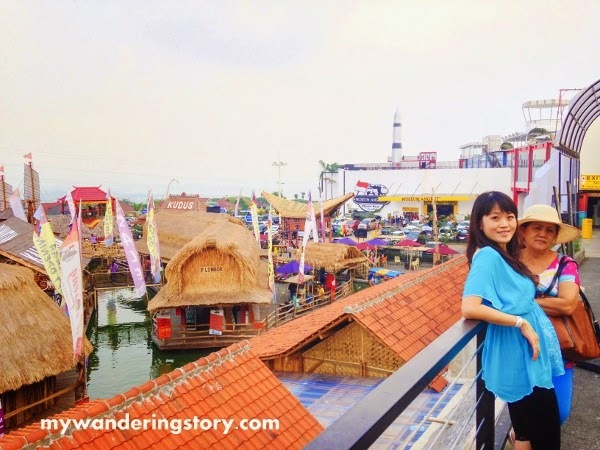 I must say that the concept of floating market here is brilliant and the next time I visit this place again, I would definitely love to try dining or simply eat the typical Indonesian refreshments here. 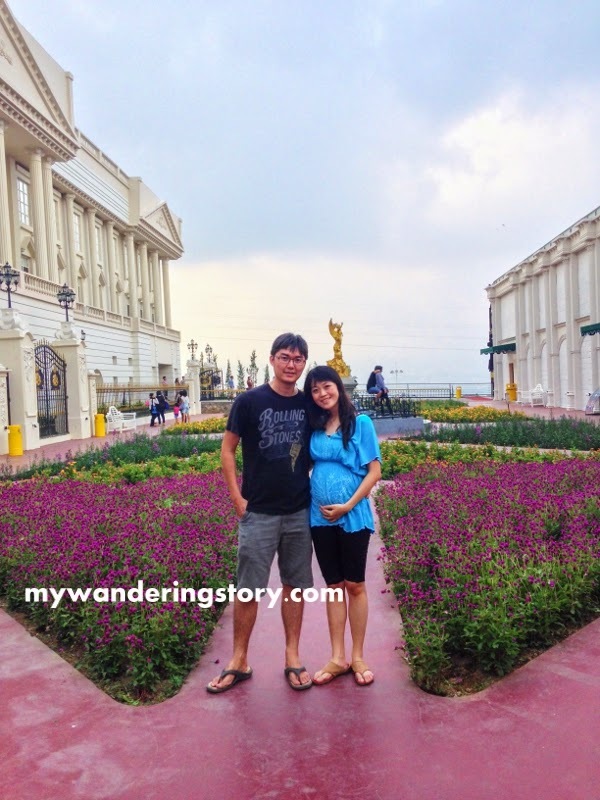 Overall, I think Museum Angkut is really worth to visit. 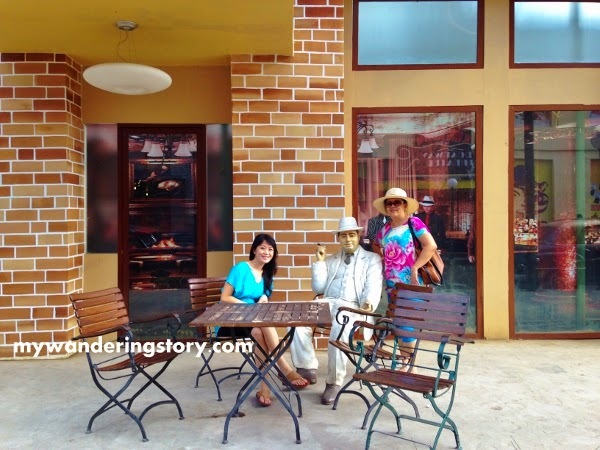 It's a must-go museum in town with your family or group of friends because the whole concept that this museum has got to offer is pretty fun, interesting, unique and not boring. To me, the best parts to explore in this museum would be their outdoor and semi-outdoor thematic zones. However, this place is probably not so suitable for toddlers or young kids because they might easily get bored here. Naomi was a bit grumpy when we visited this museum. I guess she was just too young to understand and appreciate this museum and their thematic zones. There are no costumed characters to amuse kids, playground or thrill rides for kids and/or teenagers. Anyhow, I would suggest you spare an ample time to explore this place because this museum is pretty huge. There are just so many beautiful spots in the museum to take picture with and I can't even blog in detail about this museum.